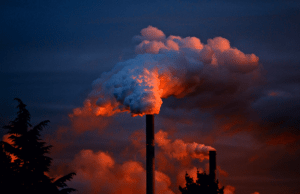 Carbon Emissions: Is Self-Management For You? The start of 2018 marks the one-year anniversary of Ontario’s Cap and Trade Program. Cap and Trade is Ontario’s signature program to reduce the Greenhouse Gas (GHG) emissions – like CO₂ – that are contributing to global climate disruption. If your organization uses carbon-based energy sources (primarily natural gas, coal and fuel oil), now is the time to review your emissions for the past year. It’s possible that there are new energy strategies which can better position you to avoid Cap and Trade costs. The Cap and Trade program is a form of carbon pricing. GHG emissions are calculated and offset through the purchase of allowances. Participation in Ontario’s Cap and Trade is mandatory for users emitting more than 25,000 tonnes of CO₂ (or equivalent). For an energy consumer in this category they must: report their GHG emissions to the Ontario government; apply for free emissions credits called “allowances”; and then buy, in auctions and the carbon market, any allowances they need that are over and above the free allowances they receive. For most customers, their utility or fuel provider purchases the carbon allowances on their behalf and passes along the cost in the monthly invoice. In Ontario, energy customers who emit more than 10,000 tonnes of CO₂e have the option to manage allowances on their own. For reference, those tonnes are what would be emitted by burning more than 203,000 GJs of natural gas per year. Companies generating over 25,000 tonnes of CO₂e are mandatory participants and must join the Cap & Trade program. They receive free allowances covering a large portion of their total emissions. They end up paying much less overall, compared to passively paying carbon costs passed on to them through their utility bill. Cap and Trade participants can spread the expense of purchasing allowances over a 3 year compliance period. This will help them manage their cash flow. Those who are successful at reducing their emissions below the allowances they have secured, have the opportunity to sell those excess allowances to another program participant that may have exceeded their allowances. Companies who enroll in the Cap and Trade Program have a number of steps to follow. The Government of Ontario website provides details: https://www.ontario.ca/page/cap-and-trade-register-and-participate-citss. While the registration requirements may seem daunting, organizations such as 360 Energy have qualified staff ready and able to guide new participants through the regulatory process. For organizations that have not yet participated in the self-management option of the Cap and Trade Program, were there changes in 2017 that may have impacted your eligibility? Increased production, building expansions, a change in fuel sources, or new on-site generation could put your organization over the 10,000-tonne threshold. Review your energy consumption from the past year. Check out if you could benefit from self-management. The world is in a new carbon environment. Cap and Trade is now a critical program driving down GHG emissions. The reasons for proactive energy and organizational management are more compelling than ever.